30th Street Blog: Jaynes Gastropub and 30th on 30th. Have a Drink, Plant a Tree! Jaynes Gastropub and 30th on 30th. Have a Drink, Plant a Tree! Have a drink and plant a tree! Jaynes has partnered with Tru Organic Spirits and The Greenbar Collective. 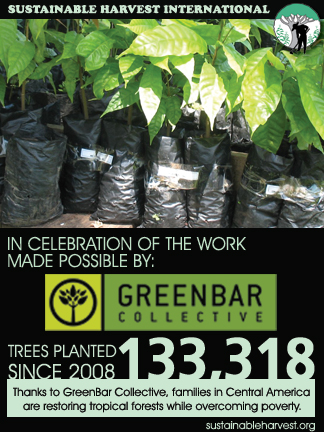 For every drink made with Tru, organic spirits distributor The Greenbar Collective will fight deforestation by planting a tree in the central American rainforest. Jaynes' star bartender Sarah Ellis will be hand crafting the cocktails for the evening and will be joined by guest mixologist Adam Stemmler. Cocktails are all $5. The ever popular Baby Jayne Burger and Fries will also be served for $5. We will be closed for regular service and will be seating throughout the entire restaurant. 6-9pm.